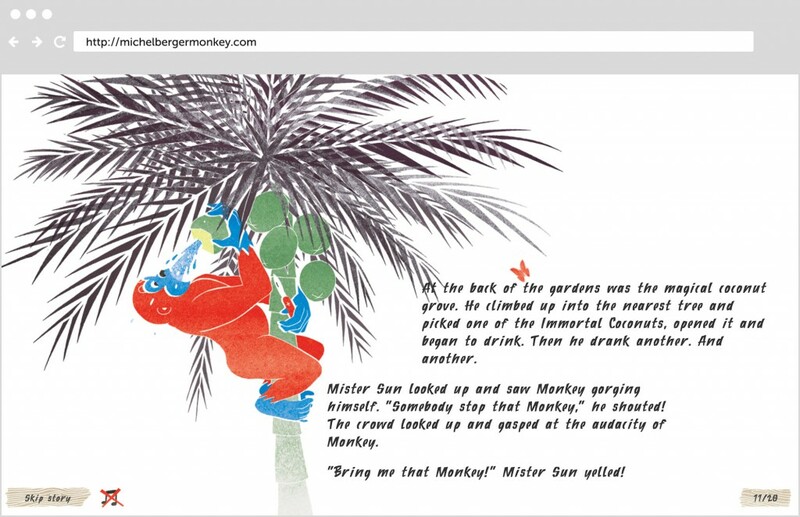 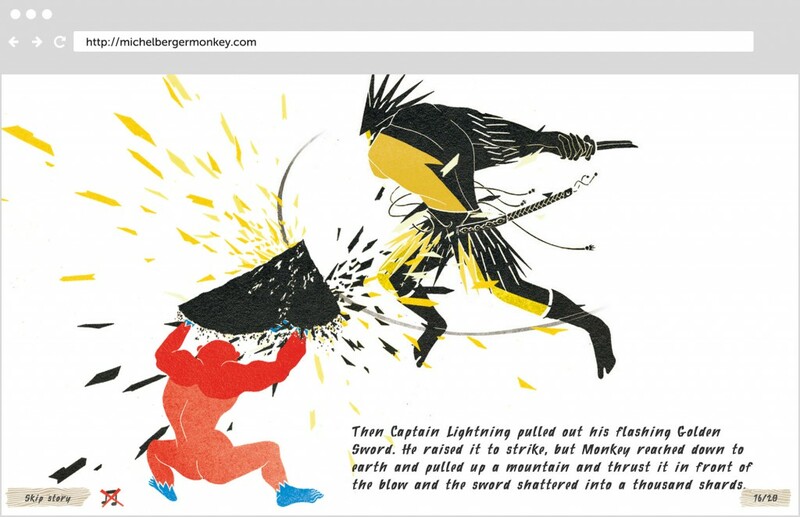 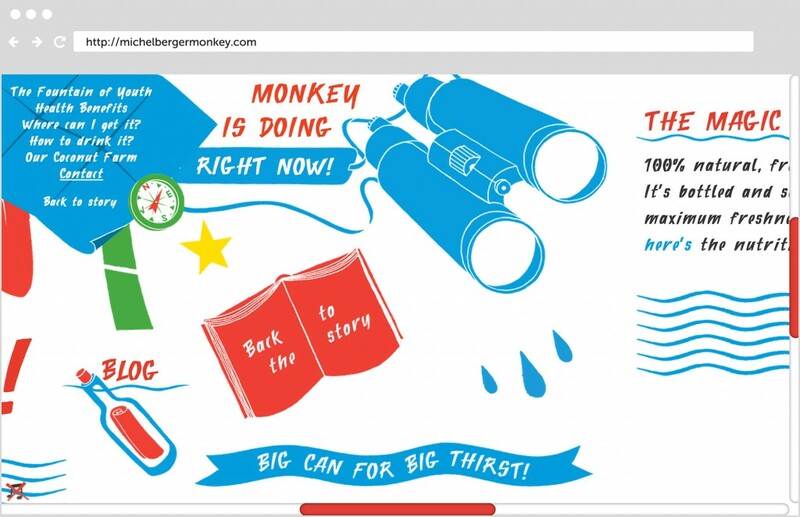 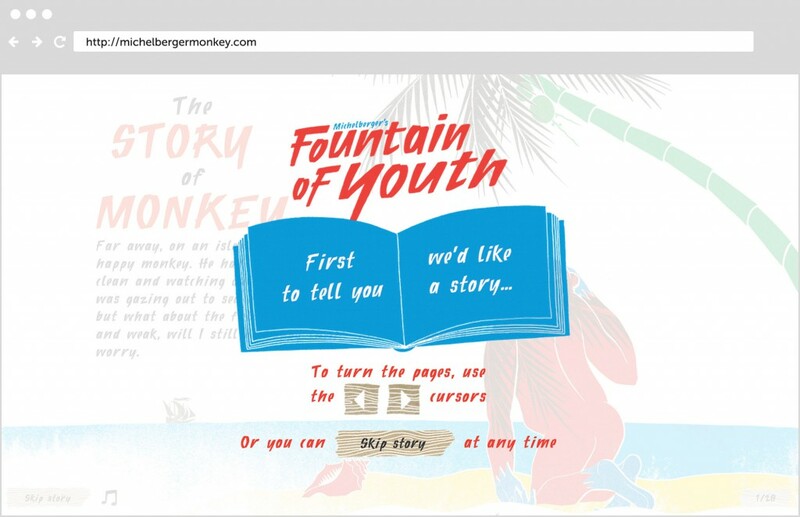 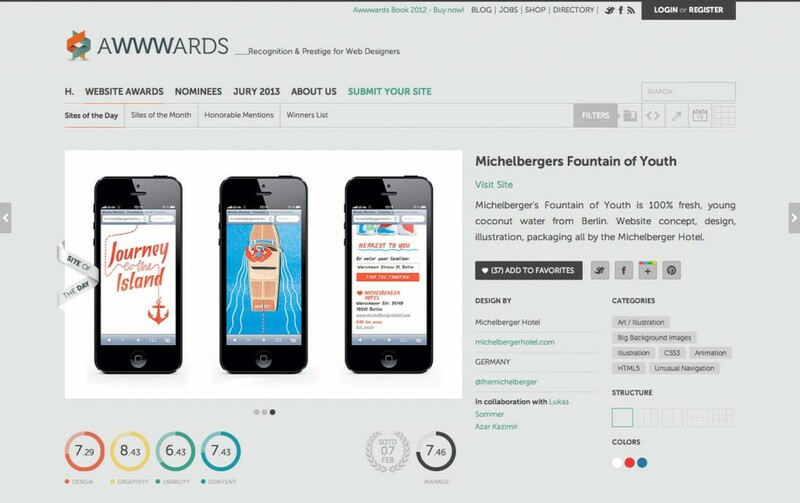 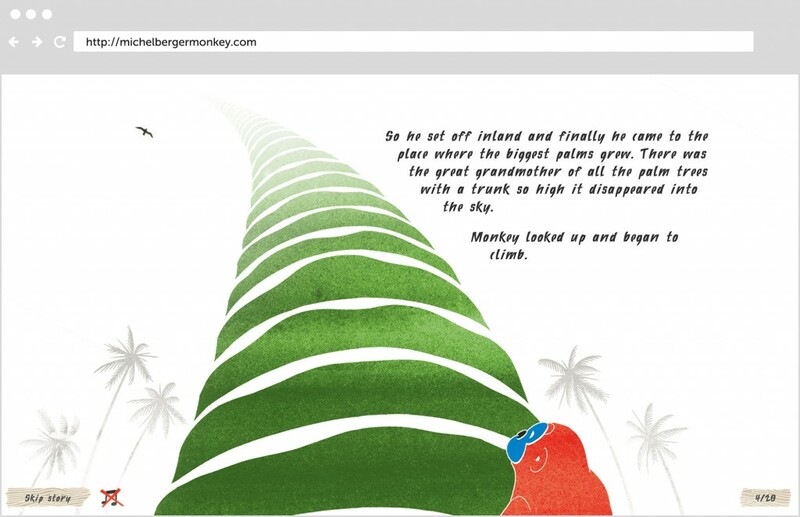 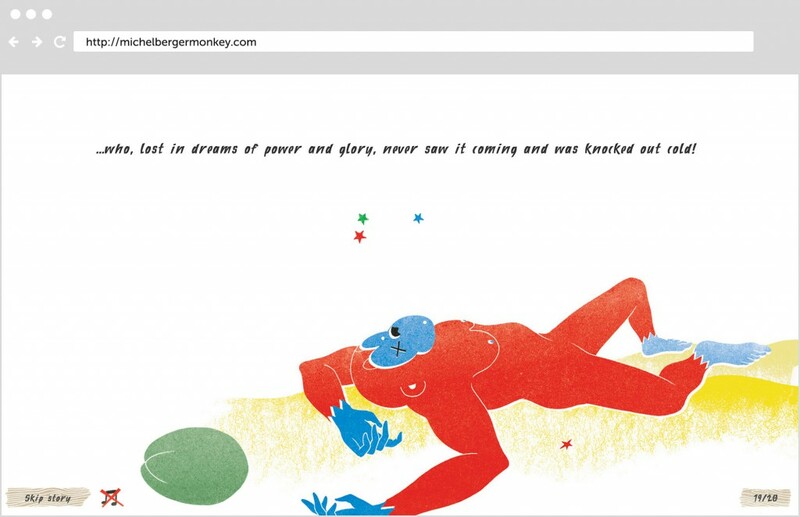 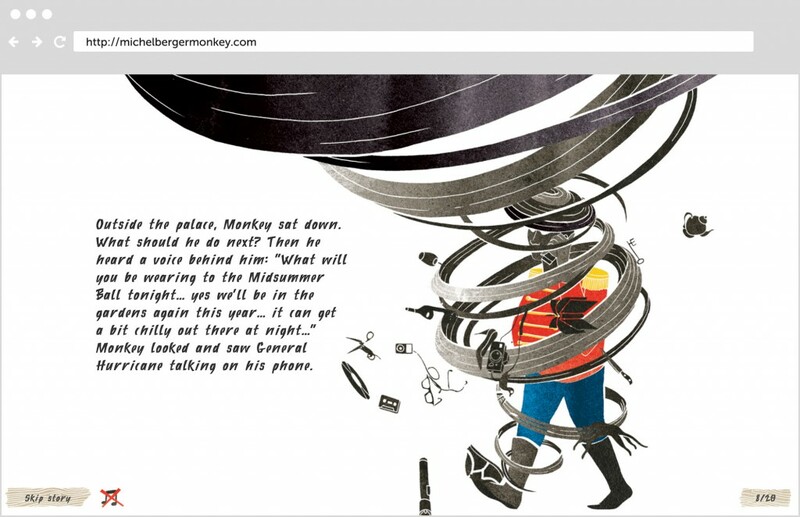 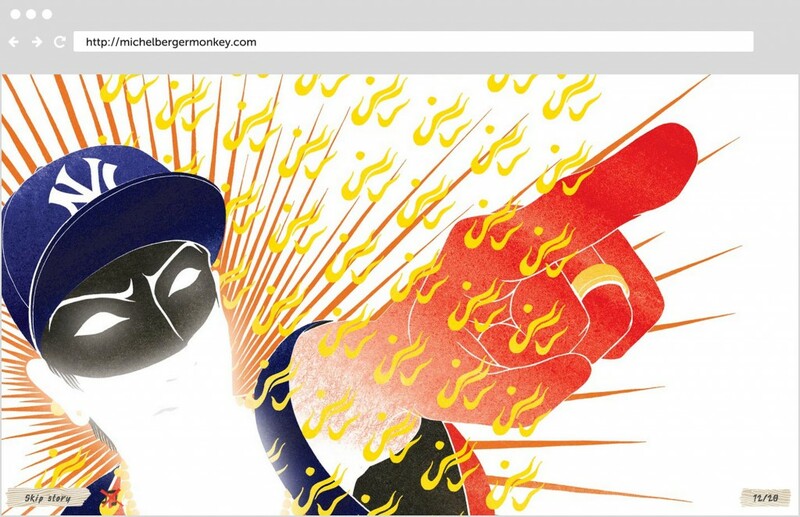 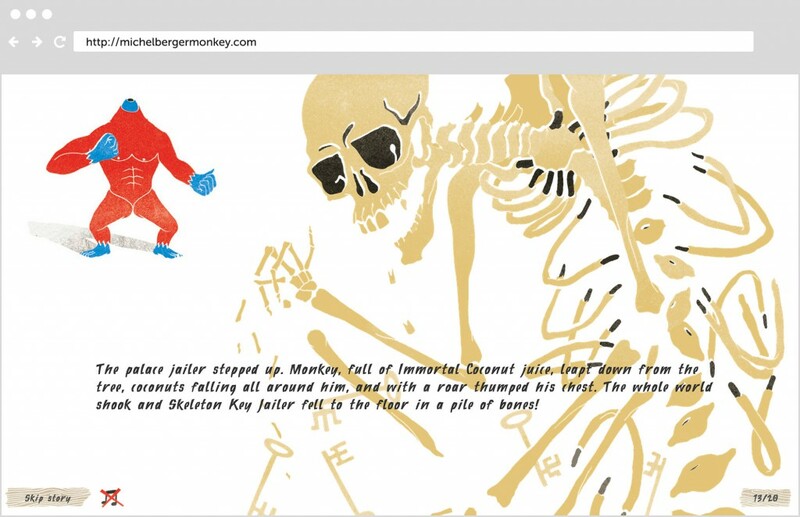 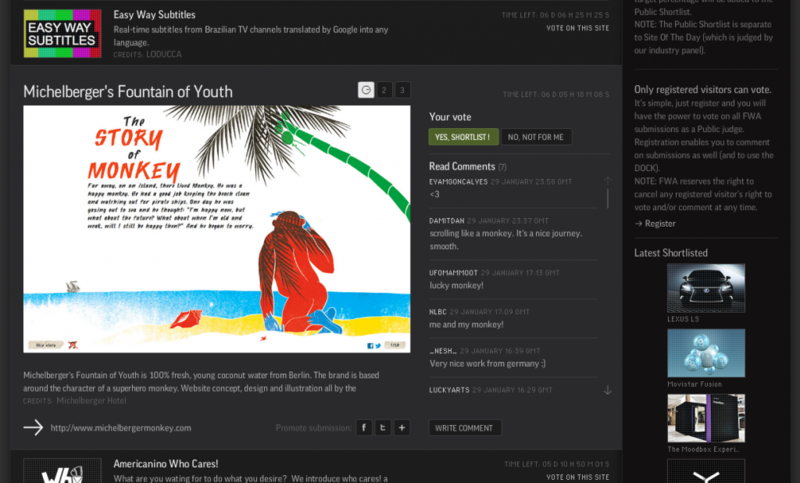 Brand website for Michelberger’s Fountain of Youth Coconut Water, featuring an illustrated story of a monkey searching for the secret of immortality. 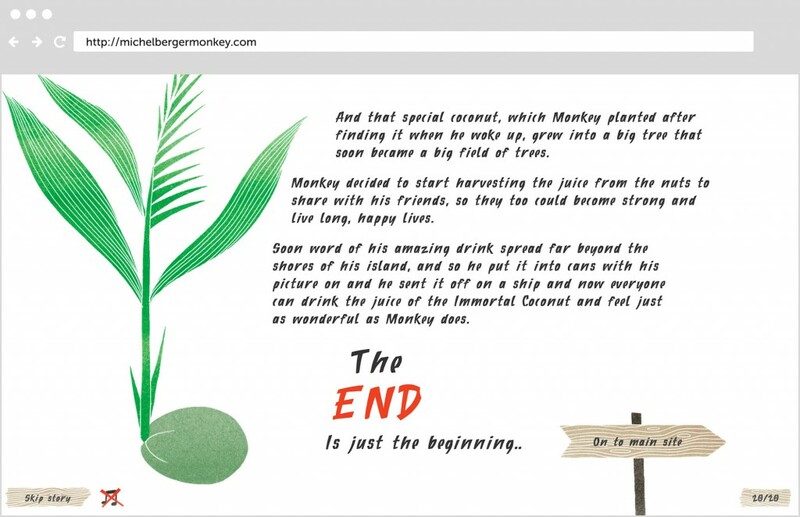 The site features a 20 page story mode and a main website exploring click and drag navigation techniques and simple animations. 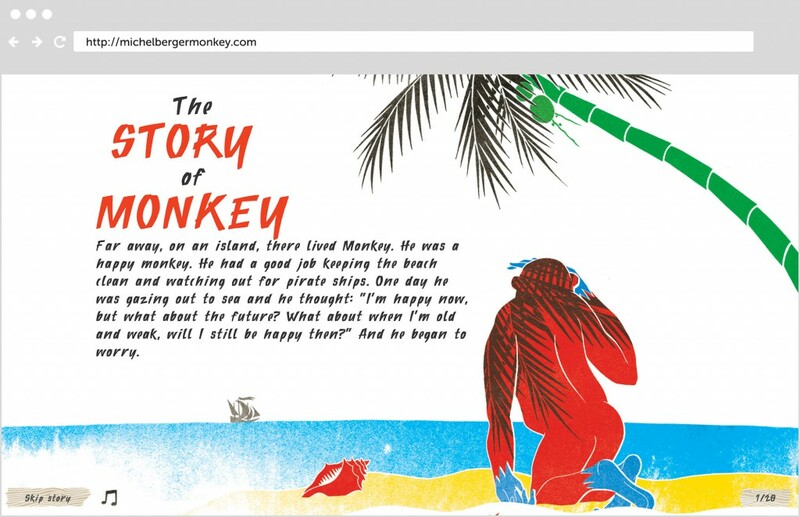 Never double click the monkey on the main site!